What is "Markets" and how can I use it? Markets is the collection of trading markets for your monitoring and trade execution. In the NAGA Trader home page, select the Markets menu. 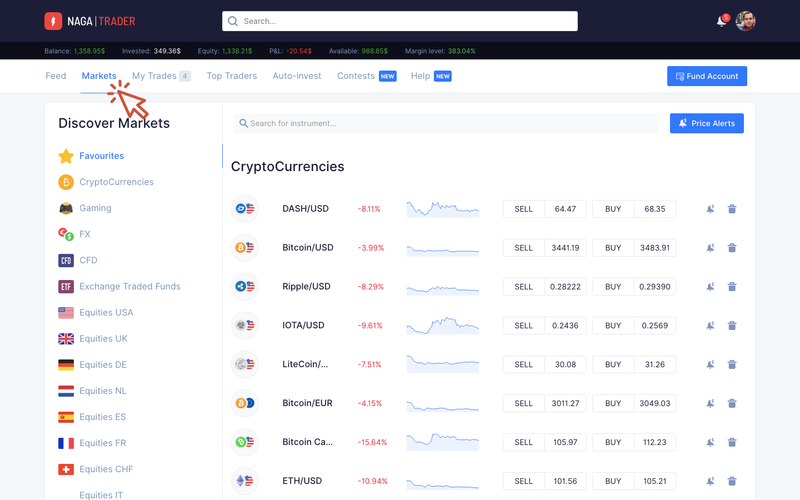 You will see a long list of trading pairs depending on the category of the trading instruments, which is displayed on the left side of the screen. The list provides 13 categories, which include: CryptoCurrencies, FX, CFD, Exchange Traded Funds, Equities (USA, UK, DE, NL, ES, FR, CHF), Future Index, Commodity Futures. 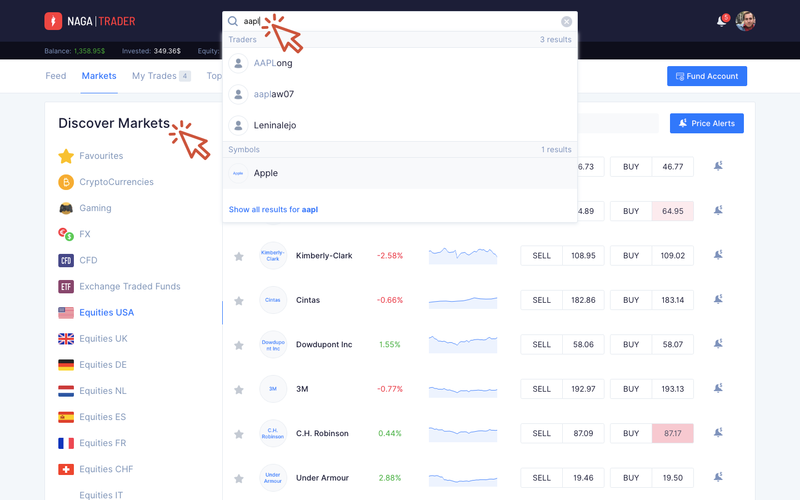 Search for the market you wish to trade under the Discover Markets, or in the search bar by entering its full name or the ticker symbol (ex. AAPL - Apple). Find out how to add a market to favorites and how to set up price alerts.